Government of Israel, Resolution No. 3611, "Advancing National Cyberspace Capabilities," August 7, 2011. Unclassified. This translation of an Israeli government resolution concerning cyberspace capabilities and a National Cyber Bureau, states, inter alia, its mission, lists the Bureau's goals, specifies its organizational structure, and also contains an addendum on regulating responsibilities in dealing with the cyber field. Federal Bureau of Investigation, Private Industry Notification,"Pending Anti-Israeli Hacktivist Operation Could Potentially Impact US Systems." March 30 2015. Unclassified. This notification provides background and an alert to private industry concerning a possible hacktivist operation, lists defensive measures that can be taken, and provides information on reporting suspicious or criminal cyber activity. Prime Minister's Office, Government of Israel, The National Cyber Bureau, June 26, 2016. Unclassified. This website post describes the mission of the National Cyber Bureau, the background of its creation, and the bureau's activities. House of Representatives, Report 114-827, Part I, United States - Israel Advanced Research Partnership Act of 2016, November 15, 2016. Unclassified. This legislation is intended to "promote cooperative homeland security research and antiterrorism programs relating to cybersecurity and for other purposes." U.S. Congress, H.R. 612, "United States-Israel Cybersecurity Cooperation Enhancement Act of 2017," January 23, 2017. Unclassified. This legislation proposes to establish a Department of Homeland Security grant program to promote cooperative research and development between the United States and Israel. Deborah Housen-Couriel, National Cyber Security Organisation: Israel, May 2017. Unclassified. 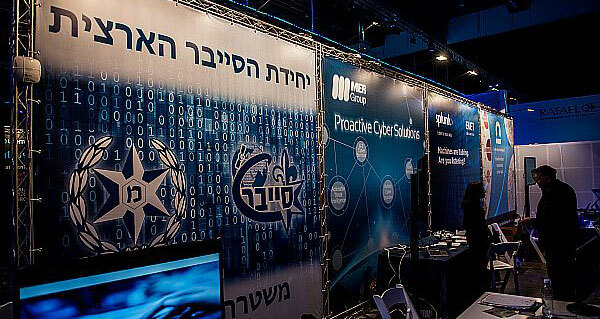 This study on Israeli cybersecurity organization discusses the digital society in Israel, strategic national cyber security objectives, and national organizational structure for cyber security and cyber defense.